I have had several questions about how I do calendar activities on the Promethean Board. I've taken screen shots of each page to give you an idea of what it looks like. I've uploaded it to Promethean Planet for you to use if it looks like something that would work well with your class. (Let me know if you download it from Promethean Planet. The images on their website don't look complete. I'm hoping that it downloads correctly. I don't have the Promethan software at home to be able to check it out). Click here to download the file. Page 1: This is the true "calendar" part of calendar time. The kids can drag the yellow box to mark the day. They also drag the days of the week to the proper boxes. I have created this calendar to last until December. You can easily retype the name of the month as it changes. I created pictures for each month. They are just stacked on top of each other. So when September comes around, just click on the August calendar picture, right click, and choose "delete". September will be underneath. You'll need to retype the name of the month yourself. 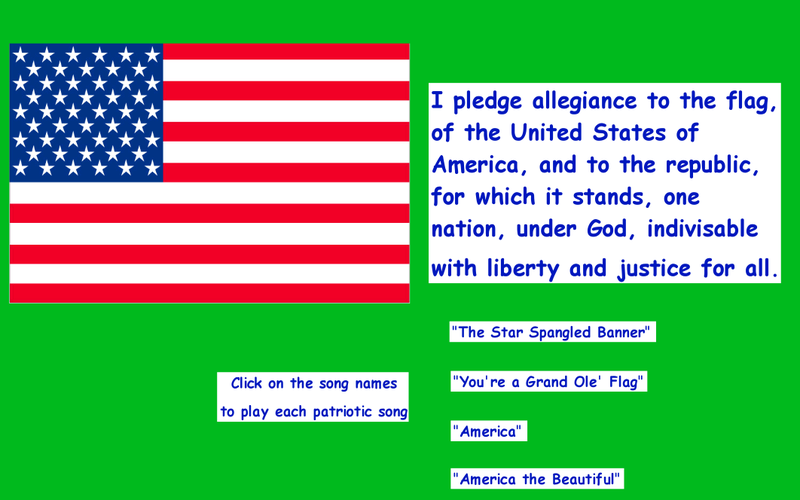 Page 2: Pledge of Allegiance. 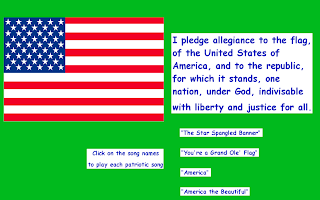 After the pledge, we sing a patriotic song. For the first four months of school, we sing one song a month (so the kids can learn each one). After that, they help me choose which song to sing in the morning. Page 7: Place Value Review. 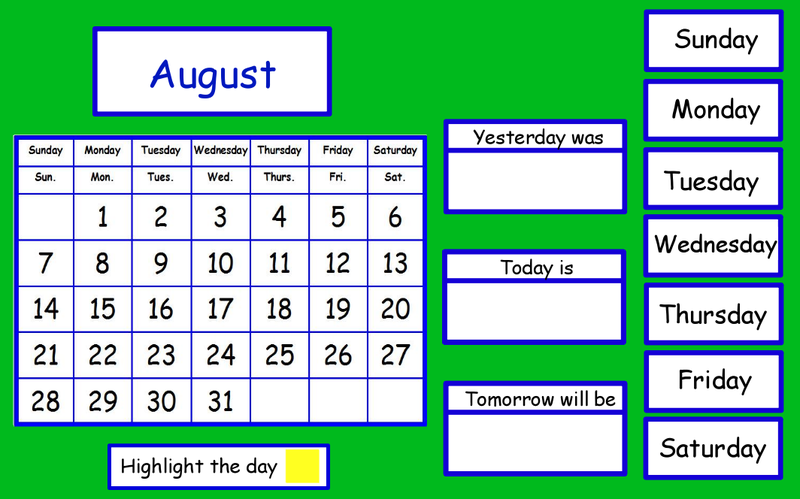 This is the page to record the days in school and drag up the base-10 blocks. After the 20th day, you can practice having the kids hear the numbers better. If it's the 23rd day I will say "we have been in school 23 days. Listen to the number carefully, what two numbers do you hear in 23?" You would be surprised how difficult this is for first graders at the beginning of the year. Anyway-- the answer is 20 and 3! There's also a place to record how many H, T, and O. So for the number 23 they would write 0 hundreds, 2 tens and 3 ones. Page 8- Money Practice. Here the children will practice making the days in school or the date with coins. If it's the 23rd day in school, they would make 23 cents. The other option (which is a little easier) is to make the date. So, if today is August 7th, the kids would find ways to make 7 cents. This way is easier because you will never be making more than 31 cents. 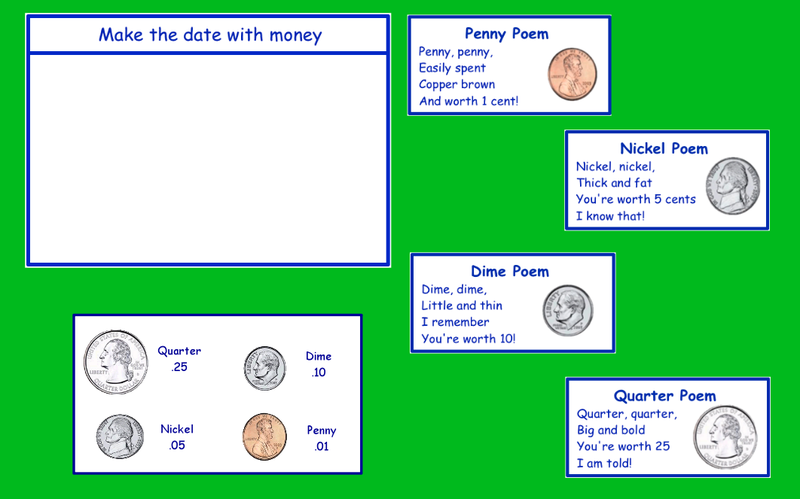 We practice the coin poems for several months until the kids know them very well. Page 9- Ways to Make ___- I will pick a number (ex. 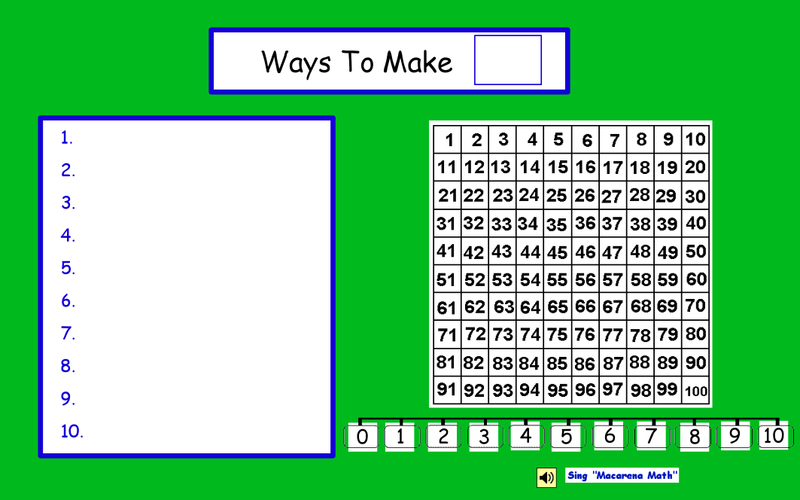 8) and the kids will come up with ways to make that number, using addition and subtraction facts. This is a great time to practice using the 100s chart, and number line. We also talk a lot about addition and subtraction properties. 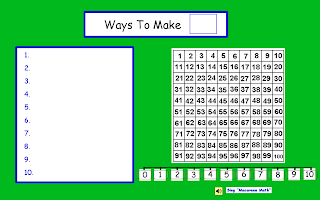 The "Macarena Math" song from Dr. Jean is included on this page to practice counting by 1s, 2s, 5s, and 10s. 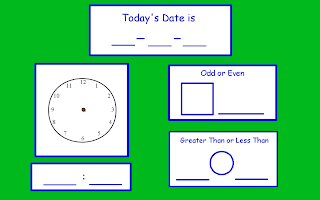 Page 10- We practice writing the "short date", telling time, odd/even, and greater than/less than on this page. With the clock I progress from drawing the hands to the hour, then half hour, then 5 minute marks, then writing the time and having the children draw the hands. Odd or even starts out simple with just writing a one digit number and the kids writing the words "odd" or "even". Later I will make it two digits, then three digits. Greater Than/Less Than also starts out simple with one digit numbers, then two digits, but later in the year I will write addition facts on each side, or draw coins on each side. Anything to keep them thinking. It's also good to throw in some equations where the answer is equal. This one is always a little more tricky at first. I stated at the beginning of the post that this is the calendar for the first semester. Later in the year I change it up a little bit and take out some of the routines that get boring. I'll post the second semester later in the school year. I really like this idea for the Promethean board. I would love to have a copy. Ok, you are officially the Promethean Guru! Please, please, please send me a copy. I will be forever grateful. I would love a copy. Last year was my first year with the board. I like using it for calendar time but I think I had too much in it. It was getting very long. I would love a copy. I have an interwrite board. Would it work?? I would be FOREVER grateful and EXCITED *squeal* if it worked!! It would be wonderful to get a copy of this flipchart! Thank you for being willing to share. I love the set up of your calendar. It is simple, yet useful. I have a smartboard tho and I don't think Promethean will transfer. Would you mind if I looked at these and re-created them for smartboard? I would like to recreate some of them that are relevant to Kindergarten. I could list you as the inspiration for the idea. These would not be sold or anything - but i might offer them on my blog. Just let me know if this is ok with you! I have sent a copy to everyone who asked for one. I'm glad you like my calendar. I hope it works for you. I'm afraid that the Promethean software isn't going to work on Smartboards though. 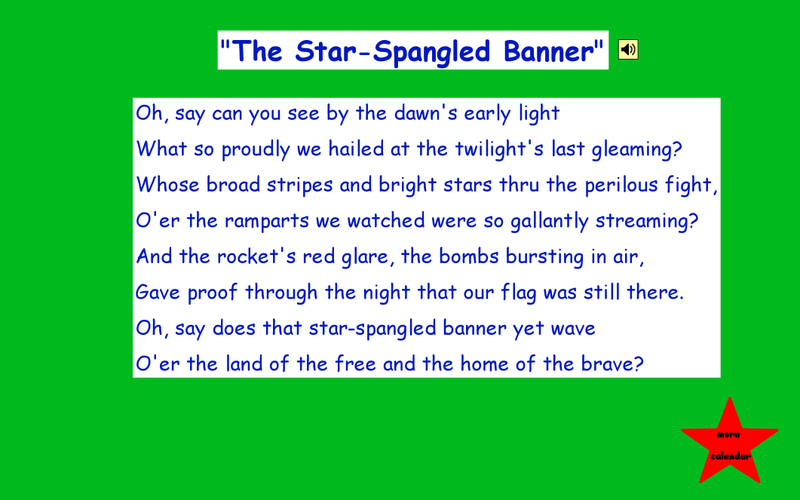 Tesss, at Spotlight on Kindergarten, is planning to create a similar version using the Smartboard Software. Hopefully that will help out some of you. Hi Lauren! I'd also *love* a copy of this flipchart! It's amazing and I really appreciate you sharing with us! :) Thanks! I would love to have a copy of this flipchart. It is awesome! You're AWESOME, as usual:) I LOVE LOVE LOVE it!!! May I PLEASE have a copy? I would love a copy of this! It would be so much fun to use with my class! Please send me a copy by email. This is exactly what I need for morning math meeting! I have sent the second set of e-mails. Please let me know if you have any trouble with the file. The software is loaded on my Mac, but I do everything at home on my PC. I think it should still work fine. Rita- I would love to send you the file but I need your e-mail address. I would also love to have a copy! It looks like it would be perfect for my calendar routine! I'd also love a copy. This is great! I would LOVE to have a copy of your Promethean board. Thank you SO MUCH for sharing it! I love this!!!! I would love, love, to have a copy of this. 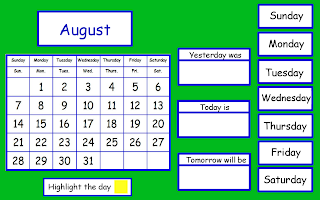 I would love to have a copy of your Promethean board calendar. Thanks a bunch! Love it! Please remember to put your e-mail address if you want me to send you a copy! Rita and "Unknown" I don't have your addresses. I would love to send you the file! This looks great! This is my first year working with a smartboard. I can't wait! Would love a copy of your calendar routine. Thanks. I would love to have a copy of this. I am just starting this year with a Smart Board. Thanks in advance. I don't have a blog, but I subscribe to your blog on Google Reader. I would love to have a copy of your Calendar flip charts! Do you have them on Promethian Planet? Oh my - this is awesome!!! I would sooooo love a copy! Thanks!!!! I'm following you and look forward to your posts! Rachel, I tried to send you a copy, but my e-mail was returned. Do you have another address I could try? I am a new follower and LOVE your blog and this calendar flipchart! It is awesome. I would love to have a copy to use in my classroom. Oh and my blog is from a grad school class I took last year. It is NOT cute and fun. I am working on getting a cute one up for second grade and my classroom. Happy Monday! That looks perfect for my class. Please e-mail a copy to me at btomlin@greeencity.k12.mo.us or tomlin@nemr.net. Your calendar is SUPER! I would love a copy! :) Thanks so much for sharing! I love this! I just found your blog and have added it to my favorites! I'll be checking it VERY often! Great ideas! If you don't mind, I would LOVE a copy of this! I would love a copy of the boards you made! This looks like the perfect fit for my morning meeting. I would greatly appreciate a copy. Would you send an email to christina.wilson@wb.k12.oh.us? Your interactive calendar is great! I would greatly appreciate a copy. I love your blog! This calendar is great! I would love a copy if possible....Thanks so much! Oh, my! I would LOVE a copy of your calendar. I've seen lots of free calendar downloads, but yours looks very thorough. Thanks in advance. I would love a copy of you Promethean Board activies. I love it. I am a very experienced first grade teacher and your website is AWESOME! !Some great ideas ... thank you! I love your calendar! I would greatly appreciate a copy of it! My e-mail is dmarchant@jeff-davis.12.ga.us. I LOVE YOUR BLOG! Tracy, I don't have your e-mail address. Send it to me and I'll happilly send you the flipchart. 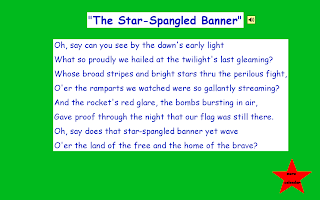 We just got Promethean boards for this year and I would love this for my class! Hi, I recently got a Promethean board for my classroom and would Love to have a copy of your Promethean activities! My email address is brdl@hotmail.com. Thank you so much! Do you still have this resource and where can i get a copy?